Blu-ray also known as Blu-ray Disc (abbreviated as BD) using a shorter wavelength (405nm) blue laser to read and write data, and known for its name. The traditional DVD need bald to delivery red laser (wavelength 650nm) to read or write data, generally speaking the shorter the wavelength of the laser, the more information can be recorded or read per unit area. Therefore, the Blu-ray discs greatly increased storage capacity for optical storage products, Blu-ray provides a leap-forward development opportunities. Blu-ray discs have an unusually strong level, which can protect the important recording layer disc. Philips Blu-ray Disc technology, the introduction of advanced vacuum links, forming a uniform thickness of 100μm layer of security. Philips Blu-ray discs can withstand frequent use, fingerprints, scratches and dirt, thus ensuring the quality of Blu-ray products and storage data security. 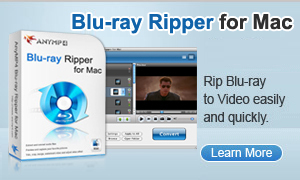 Technically, Blu-ray recorder systems can be compatible with a variety of CD-ROM products had emerged. The huge capacity of Blu-ray products brings the possibility and convenience for high-definition movies, games and large-capacity data storage. It will greatly facilitate the development of high-definition entertainment. Standard DVD technology uses a wavelength of 650nm red laser and a 0.6 numerical aperture focusing lens, the disc thickness is 0.6mm. The Blu-ray Disc technology uses a wavelength of 450nm blue-violet laser, through the wide-angle lens on a ratio of 0.85 numerical aperture, successfully to shrink the focused spot size in extremely small degree. In addition, the Blu-ray disc structure using 0.1mm thick optical transparent protective layer to reduce the disorders of reading and writing in the process of tilting due to the rotating discs, which makes it easier to read the disc data, and to greatly offers the possibility to improve storage density.